Several people have expressed interest in the ADF4350 (and ADF4351) boards for their own projects. A small batch was made late last year and there is now increased interest from others in purchasing more boards so I have started to make them available again. I am currently building and testing the next batch and they will be available near the end of Janurary. Now that boards have been released into the wild it is best to give it a name, so I am pleased to announce that they will be referred to as a ZLPLL board. 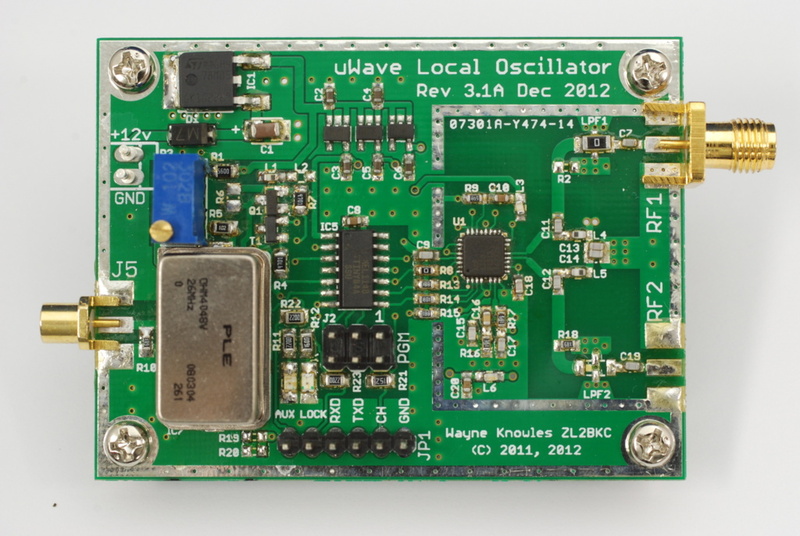 The most recent revision of the board includes the ability to breakout the LED status indicators offboard. Pricing will be US$115 for a single unit with payment via PayPal. A PayPal checkout will be setup on this site once boards are available.